Carpets are a common choice for flooring. Home owners prefer carpets because of multiple reasons. Carpets make the space more comfortable and cosy, they absorb noise and they also keep debris embedded in them which otherwise would be strewn all over the house. People who have kids prefer carpets all the more as they prevent slipping and in turn avert any injury. Carpets definitely serve multiple purposes but they call for some maintenance in order to ensure that they last long and serve the intended purpose. Carpet cleaning can be a ‘do-it-yourself’ project but it will not be effective. That is why professional Carpet Cleaning in Eveleigh is what will act as a savior and save your time. 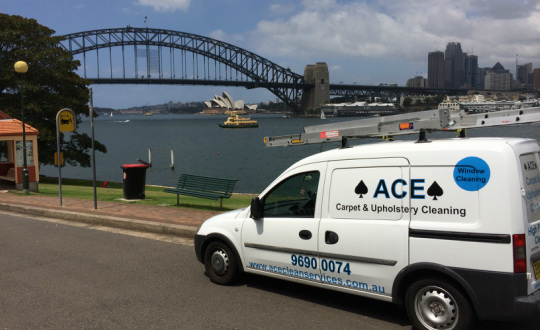 If you decide to hire ACE for maintaining your carpets then we guarantee that all you will have to do is sit back and watch your carpets getting cleaned. We are all about taking away all your worries and giving you the peace of mind that you yearn for. Anyone who has ever taken up a carpet cleaning project on their own will know what a gigantic task it is. They might end up spending their weekend cleaning and repairing your carpet when you could have spent some quality time with your friends and family. Obviously leaving the task in expert hands is a wise decision and that is why you should look for the best Carpet Repairs in Eveleigh. Carpets experience a lot of traffic and are bound to show signs of wear and tear as time passes by. Although you cannot prevent it but with our expert services, you can definitely get it fixed or repaired, giving your carpet a new and refreshed look. ACE is all about customer satisfaction and that is why we strive to ensure that you are 100% satisfied with our services. We understand that your time is precious and so we guarantee a quick turnaround time and prompt services. Everyone aims for a healthy home, however one crucial element of keeping your family away from harmful bacteria is by keeping your carpets clean. Any spills that occur on the carpet usually seep deep inside the fabric and simple mopping and blotting clan only clean the surface. Liquid that has penetrated deep into the carpet creates a moist and damp area which is most conducive for the growth of mold and bacteria. Dealing with such issue is not something that you can take up yourself as it requires professional expertise and powerful equipment. We at ACE are well equipped both in the tools as well as the knowledge to take care of such problem that carpet owner’s face. If you are experiencing noxious smell from your carpet or your carpet is getting damaged and you are looking for Carpet Cleaning in Eveleigh then just pick up your phone and give us a call on 0415 096 801. ACE services is always ready to help you out so if you want a free estimate or you have any queries then you could also write to us at scottpope01@gmail.com.